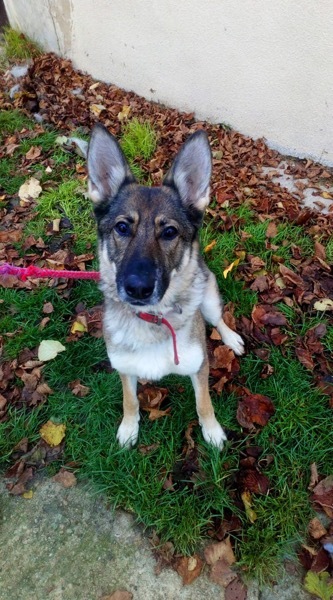 Meet Lola a 3 1/2 year old GSD x currently in kennels near Calne. 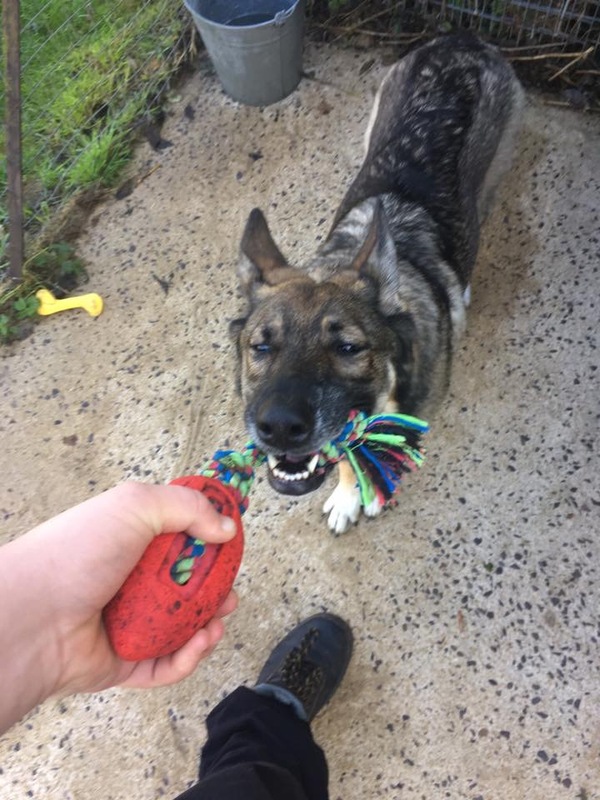 Lola is a lovely girl who walks nicely on the lead and, as you can see, she enjoys a good game of tug! Lola needs a quiet home with no other animals. She has quite a high prey drive so small furries and cats are a definite no. Due to this she also needs a family willing to keep her on lead when out and about. She is good with people though and will soon make herself at home with a new family. Could that be you?